The area represents a wide range of cultures and cuisines. Its roads are primarily residential, but distinctive shopping areas are marked by hallmark mom-and-pop shops that have been around for years, local restaurants whose dishes are the stuff of neighborhood legend, and even a few high-end stores here and there. It’s an intriguing mixture of old and new—the stalwart establishments that have stuck around as Flatbush has grown, and the gleaming beacons that represent what’s around the corner for the burgeoning neighborhood. 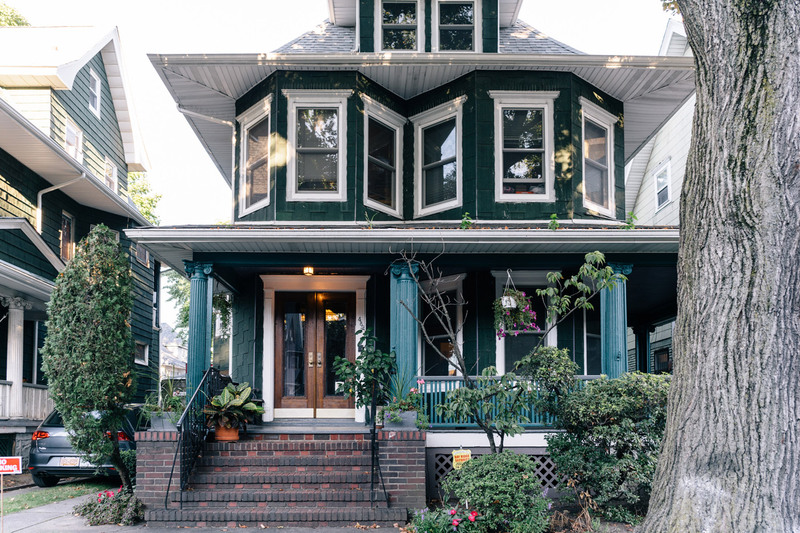 Flatbush real estate options similarly range from the very old to the sparkling new. It’s an interesting combination that characterizes the neighborhood in a unique way. The gritty side of Brooklyn still remains. It’s evident in the vestiges of old Brooklyn that still remain: pre-war apartment buildings on leafy side streets and imposing Victorian homes near the southern end of Brooklyn College. Alongside these properties is the new guard: the towering buildings that cast shadows along Flatbush Avenue, concealing even the once impossible-to-miss, bright red Junior’s Restaurant sign. The area is heavily saturated with these newer apartment buildings, adding to the broad mix of property types in the area. A group of Dutch colonists discovered Flatbush in 1651. Its name is derived from the Dutch phrase Vlacke bos, or wooded plain. During the Revolutionary War, the British occupied Flatbush and stayed until the war was over. As a result of British reign in Flatbush, many existing residents in the neighborhood had to leave the area—or pay the price if they stayed. 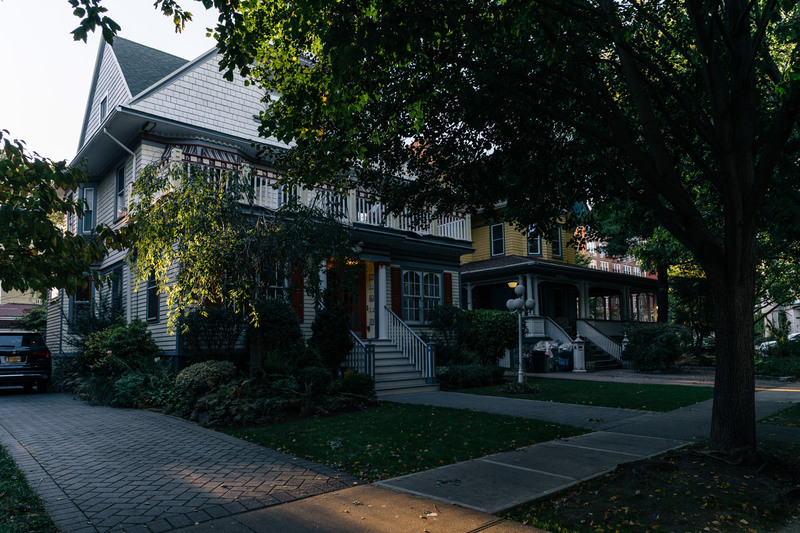 During the early 20th century, Flatbush emerged as a strong working-class district with heavy concentrations of Jewish, Irish-American and Italian-American residents. Immigrants from Haiti, the Caribbean and the African-American and Latino communities contributed to the area’s deeply varied population. 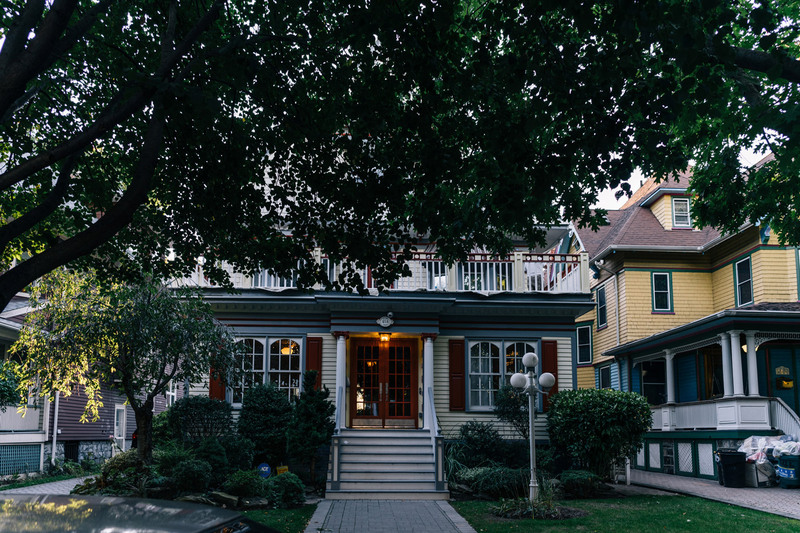 In the 1970s and ‘80s, more affluent residents came to the neighborhood, in particular to the leafy Prospect Park South and Parkside Avenue areas, where many doctors resided. Most restaurants in Flatbush are informal. On Flatbush Avenue are numerous eateries with international flair. West Indian restaurants abound, including family-owned Caribbean favorite, MangoSeed, and the Trinidadian dine-in, Suzy’s Roti Parlour. It’s not unusual to wander Flatbush and come across small groups of chatty neighbors enjoying a meal of chicken and roti on a sidewalk table. Flatbush is also close to the nonprofit Masbia soup kitchen, where hot meals are provided from Sunday through Thursday every week. One of the most renowned attractions in Flatbush is the Kings Theatre, which originally opened in 1929 playing sold-out vaudeville shows. When it shut down in 1977, locals were saddened to bid farewell to the area’s major institution. It reopened, however, in 2015, a grander and more cinematic version complete with a bold marquee, ornate ceilings, and opera-worthy maroon drapes. The sensitive restoration of this historic attraction gives you an authentic flavor of early 20th-century Brooklyn. Stop by and admire the building’s opulent facade in particular. Living so close to Prospect Park means the enchanting artwork of Brooklyn is within easy reach. On display is everything from Egyptian artifacts and European paintings to avant-garde art and period pieces. A three-minute drive from the museum, Prospect Park Zoo is home to over 100 species, including sea lions, river otters and red pandas. You’ll find the occasional late-night establishment that caters to the PM crowd in Flatbush, including Bar Chord, a rustic beer-hall-meets-disco-club. It’s deeply music-centric: Vintage guitars hang from the walls, and fans are encouraged to peruse and buy. A wide range of musicians fills the schedule every night of the week, including jazz and folk. There are also occasional trivia nights, making it one of the buzziest spots in Flatbush on just about any evening of the week. If you’re in a let-loose sort of mood, F1 Lounge provides the entertainment: Step inside at any given time to discover karaoke, live music, a game on TV or conversation with longtime bartenders. The old-world charm so inherently woven into the fabric of Flatbush is evident in its busy shopping scene. Flatbush Avenue is lined with stores that have been in business for years—think discount boutiques, quaint clothing shops and affordable housewares stores. Church Avenue, meanwhile, is jam-packed with mom-and-pop stores that serve the neighborhood’s ever-burgeoning West Indian communities. You’ll find everything from toys to tea in the mix. Upscale shops are situated just east of Flatbush at Kings Plaza Shopping Center, which is home to popular national chain department stores and boutiques.